Brenton Tarrant, the 28-year-old Australian-born suspect accused of gunning down 50 people during Friday's terror attacks here dismissed his lawyer and is planning to represent himself in future court hearings, raising fears that he could attempt to use the trial to express his extremist views. 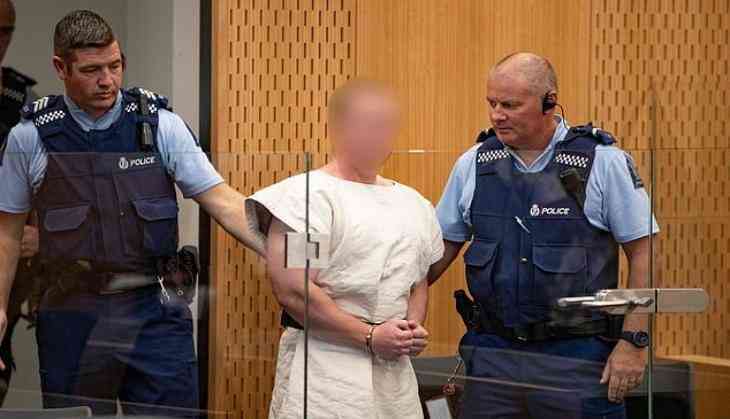 Richard Peters, the attorney who represented Tarrant in the hearing at the Christchurch District Court on Saturday, confirmed the news and said that the accused "appeared to be lucid" and was not "mentally unstable", New Zealand Herald reported. Peters said that the accused was insisting that he wanted to represent himself in the court and his job had come to an end after Saturday's hearing. Tarrant, who appeared before the court on murder charges on Saturday, was remanded in custody without plea until April 5. Meanwhile, Australian counter-terrorism police on Monday searched two homes in New South Wales state linked to the gunman. The house of Tarrant's sister was raided in Sandy Beach town, near Coffs Harbour at around 8:30 am (local time). Police then raided a second home at Lawrence town, near Maclean, north of Coffs Harbour, according to New Zealand Herald. "The primary aim of the activity is to formally obtain material that may assist New Zealand Police in their ongoing investigation," the Australian Federal Police and New South Wales Police said in a joint statement. "The community can be assured that there is no information to suggest a current of impending threat related to these search warrant," the police said in the statement. Owing to the raids at two houses, the gunman's mother and sister have been moved to a safe house by the police. New Zealand is currently on a state of high alert after Tarrant, who is believed to have lived in Dunedin, killed 50 people in the Al Noor and the Linwood mosques in Christchurch. Condemning the terror strikes, New Zealand Prime Minister Jacinda Ardern had described the attack as "one of New Zealand's darkest days" and said it "appears to have been well planned". She asserted that the country "will not and cannot be shaken" by the attack. Ardern underlined that the country's gun laws will undergo changes and become stricter.